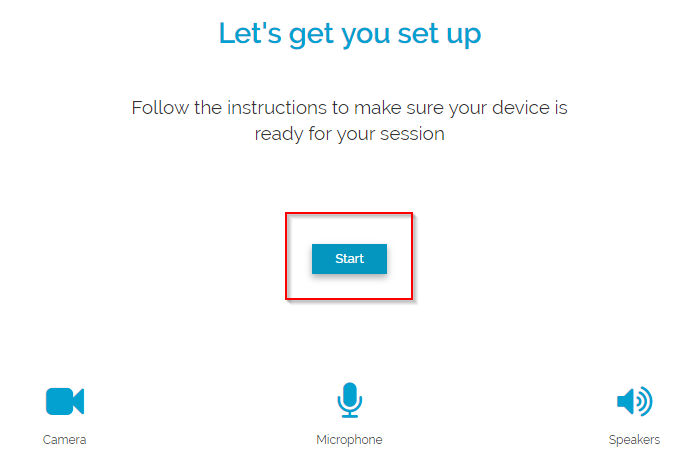 We at Healing Clouds want to diminish every possibility that might become an obstacle during your online healing session and hence we have introduced device check feature which allows you to check your device’s sound and video efficiency. This check is run twice - once when you book a session, and second time is when you start your session with your practitioner. This is a precautionary measure to ensure a pleasing and uninterrupted experience during the entire distance healing session. There are only three steps to complete this test. Log in to your healing clouds account and click on “Start session” in your dashboard. Don’t worry, this will not start your session immediately. You will see this screen. 2. You will be asked if you can hear a sound. Click on yes or no accordingly. 3. 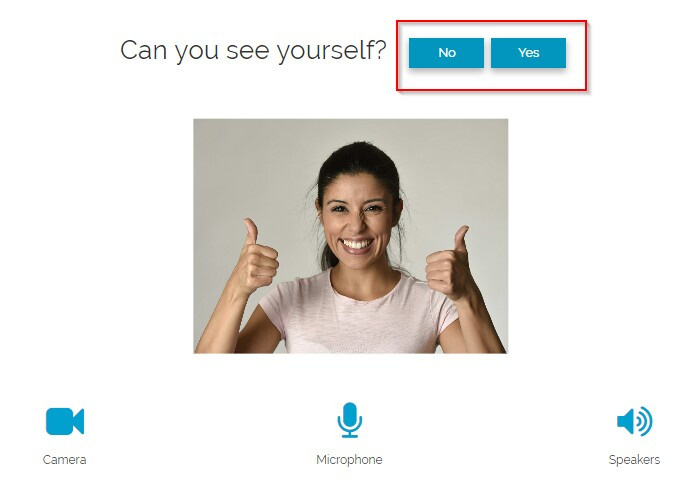 You will be asked if you can see yourself in the camera. Click on “yes” or “No” as per what you see on the screen. 4. 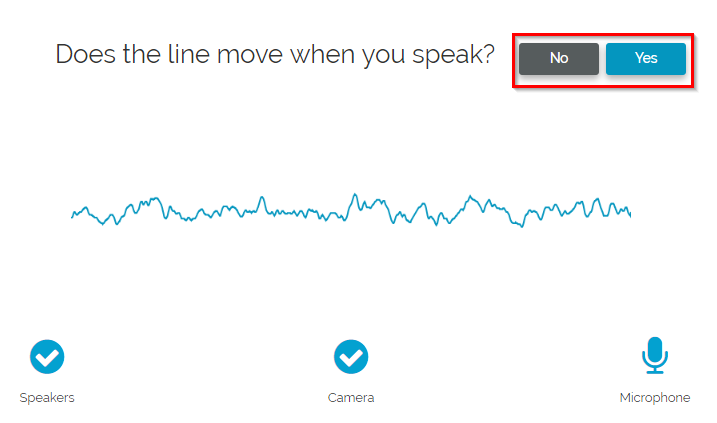 Finally, You will be asked if the bar moves when you speak. Once again, choose an option from yes and no as per what you see. And there you are!! Your device is ready for the session. 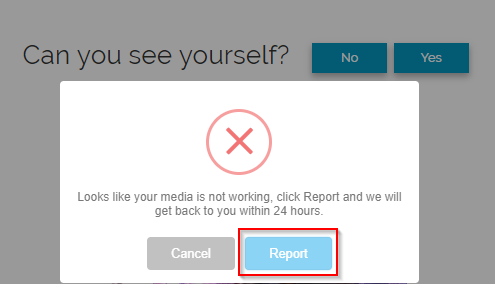 In case you are unable to complete any of the above tests and you click on “NO”, you will be asked to report this issue to our technical team and they will revert to you with the resolution. 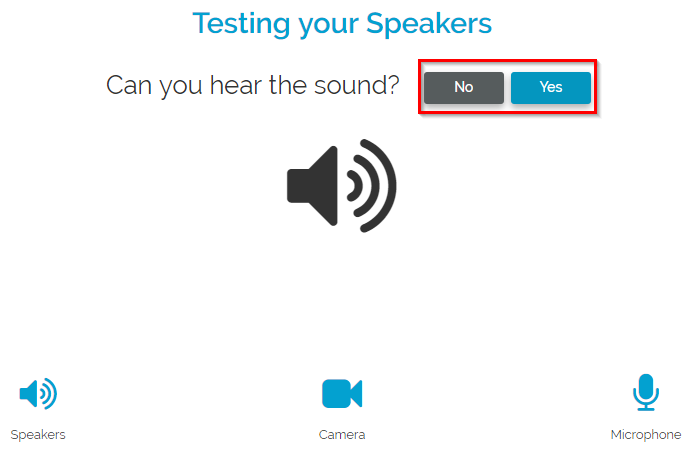 You can perform this test any time even before the session. Would you like to know how a session is conducted in detail? This article will help you for sure.